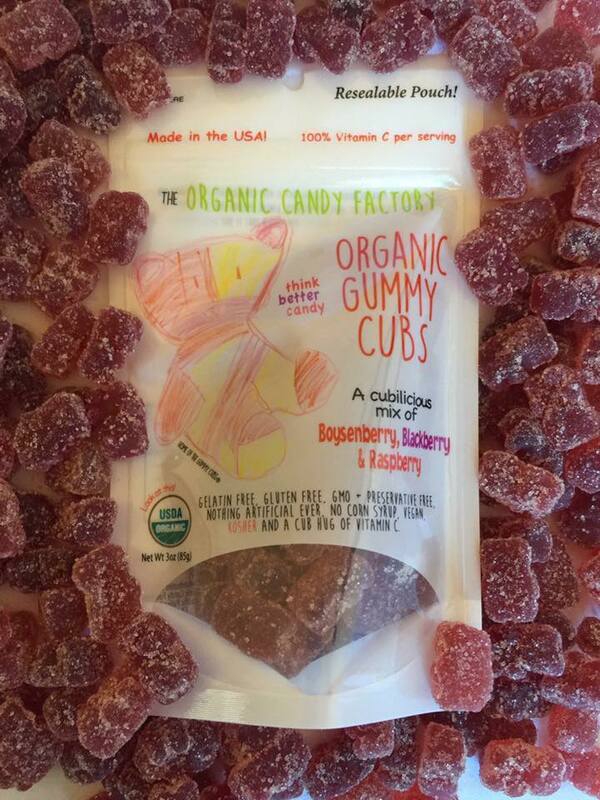 Celebrate National Candy Month with Organic Candy Factory and a Giveaway! While many of us or me at least celebrate the tasty joy and goodness of candy all year long (I am a candyholic), June has the honor of being the official Candy Month. No one seems entirely sure why or how June became Candy Month but, with the title giving you a licence to enjoy as much guilt-free candy as you want, who can argue?! I can afford to enjoy candy all year long and not just splurge for Candy Month in June because of The Organic Candy Factory. Their candies are simply delicious and truly decadent but most importantly one hundred percent organic and healthy for you! How can there be a healthy candy you ask? The Organic Candy Factory The Organic Candy Factory has four amazing products and luckily I got to try them all. The Peach Gummy Cubs were everyone's favorite. Each gummy has 100 percent vitamin C and is made in the USA. The Mixed Berry Gummy Cubs were great too I just prefer peach. These are not your typical gummies they are not chewy chewy they are soft and have a gummy texture which I much preferred over regular gummy bears. They have real fruit taste not that chemical after taste gas station gummies have. The chocolate bars were amazing. The organic milk chocolate simply melts in your mouth and the gummies give each bar an added flavor. Check out the full candy line here! The Organic Candy Factory wants to make one reader very happy make sure to enter the giveaway below to win the whole line of The Organic Candy Factory's treats which includes the Peach Gummy Cubs, Mixed Berry Gummy Cubs, Organic Milk Chocolate Bars Mixed Berry Gummy Cubs and the Organic Chocolate Bars Peach gummy Cubs. Just ENTER BELOW! I would love the Mixed Berry Gummy Cubs. They look delicious! My favorite is the Mixed Berry Gummy Cubs.